Simply stunning the Mind The Gap ByoBu Wallpaper Print will rock your world. 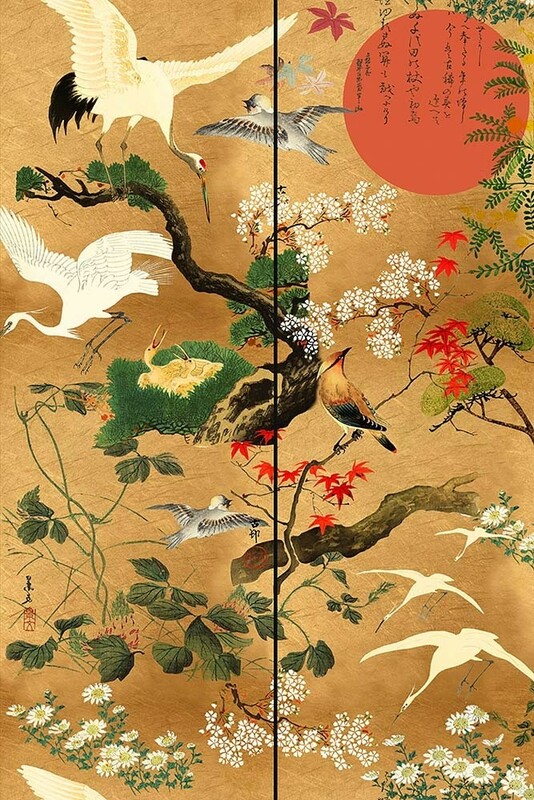 A beautiful golden Japanese style wallpaper the ByoBu print features traditional Japanese patterns of flying cranes, apple blossom, perching birds and the flaming red sun. The Standard Edition of the ByoBu Wallpaper is fully printed on metallic foil and has a Pattern Repeat of 150cm. The Surface Size is 4.35mp and the wallpaper is printed onto non-woven back paper. 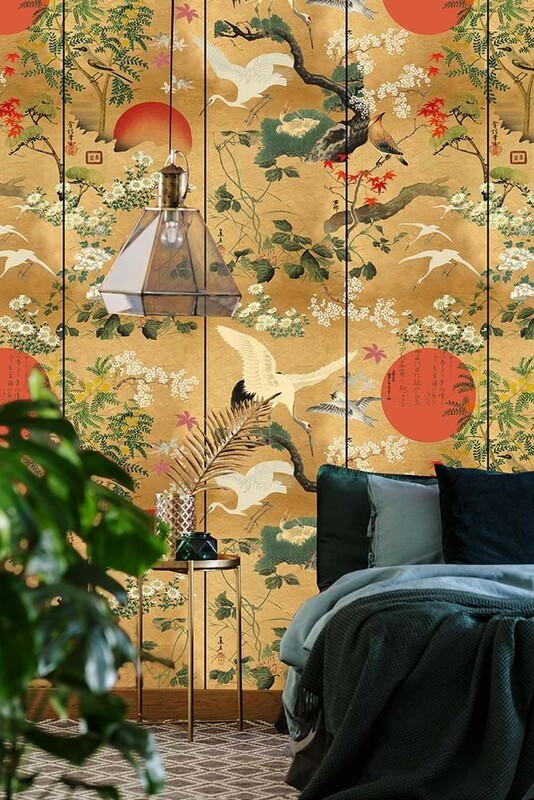 A luxurious golden Wallpaper Print the ByoBu Wallpaper will be a favourite of those who favour classical oriental prints and patterns. Completely mesmerising the ByoBu Wallpaper is one of those versatile wallpapers that will look beautiful in any room in the home. 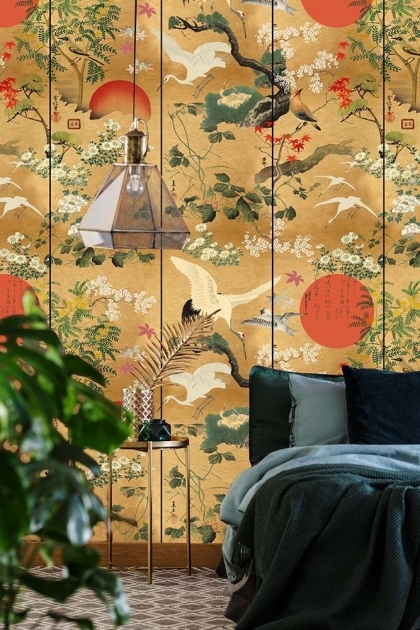 Cover the walls in your living room with the Japanese Print wallpaper or create an eye-catching feature wall with the oriental wall print in your bedroom. You could even do something a little unexpected and wallpaper your wardrobes or mid-century style display cabinets with this evocative print. For more ideas, check out our blog - 5 ALTERNATIVE IDEAS FOR UPCYCLING WITH WALLPAPER. The ByoBu Wallpaper is available in this standard edition and in a beautiful metallic edition that is printed onto non-woven paper. For tips on how to hang your wallpaper, check out our guide here.